Following is an edited extract from the introduction to Module 9: Money & Finance in Get Organized Wizard for Smart Women. Most of us know what we should do to take charge of our financial lives. Depending on the individual situation it could be some or all of these: reduce debt, save more, invest wisely, review investment strategy, keep good records, create and stick to a budget, get the insurance you need, firm up money knowledge, or find decent financial advisors. The stumbling block for many of us isn’t knowing what to do, but getting organized – preparing and taking the steps to manage our finances. That’s exactly what these suggestions are designed to do. They’re not meant to give you advice, but to help you organize the steps you believe are right for you in managing your financial goals and future. For many people reducing debt is the first phase of a financial plan. Consider cancelling credit cards, ordering debt by interest charge, and debt consolidation. Do you need to organize strategies for reducing excessive interest – like diarizing due dates, using online banking/auto-pay, paying full credit card balances, and increasing loan repayments? Start by listing expenses. Then you can choose which amounts you want to reduce, and tick them off as you cut down. It’s difficult to feel on top of your finances if your financial paperwork is a mess. Resolve to set up a personal system for your financial records and to file your documents. Set up a simple monthly budget. Include categories like : Home, Motor, Children, Insurance, Transport, Food, Personal, Health, & Leisure. Fill in ‘Planned’ now, and ‘Actual’ at month-end. Perhaps you want to streamline your financial life. Consider cancelling credit cards and consolidating accounts – including bank, retirement, debt and investment accounts. Time to take stock of your insurance? Do you have adequate life insurance? Health/medical? Disability? Income protection? What other insurance do you need? Are your assets adequately protected against loss/damage? Consider insurance for your home, possessions, car, boat, business, and other assets you want to insure. Think about general measures for increasing the security of your home, business, assets, and health, as well as protecting yourself against theft and fraud. There are contingencies we avoid thinking about – but it’s wise to be prepared. Consider wills, living wills, powers of attorney & other matters to discuss with your solicitor. Is it time to review your accountant, tax agent, bank manager, insurer and stock broker? What areas of financial knowledge do you want to improve – general, tax, investment, debt-reduction, accounting, or financial planning? 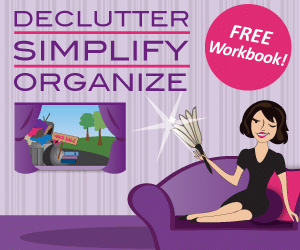 Get organized and get smart! Question: What area of Money & Finance will you work on in 2009?